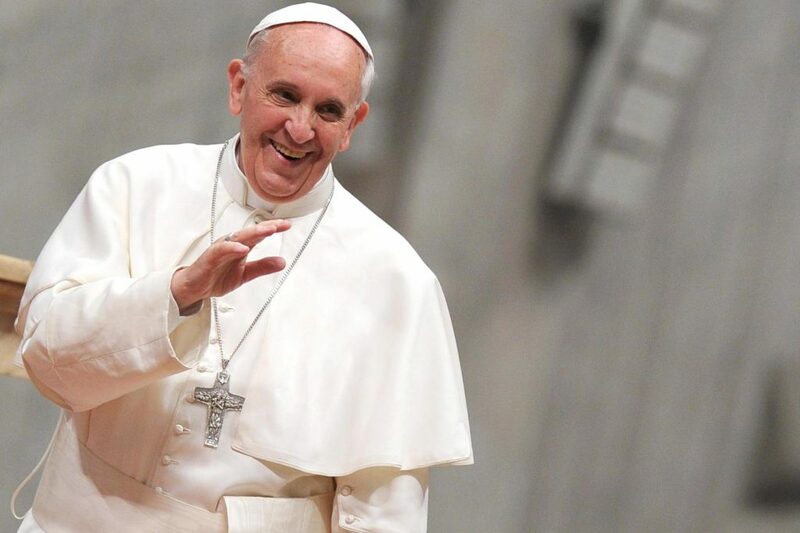 The leadership of Pope Francis will be a focal point for discussion at the upcoming 13th National e-Conference hosted by Broken Bay Institute and the Australian Catholic Bishops’ Conference. Photo: Supplied. The leadership of Pope Francis will be a focal point for discussion at the upcoming 13th National e-Conference hosted by Broken Bay Institute and the Australian Catholic Bishops’ Conference. Entitled ‘Gospel Leadership in Times of Chaos: The Hope of Pope Francis’, the conference will bring together a panel comprising Vatican commentator Dr Massimo Faggioli, former NSW Premier and Minister for Foreign Affairs The Hon Bob Carr, businesswoman Ms Elizabeth Proust AO, together with theologian and cultural anthropologist Rev Dr Gerald Arbuckle, Congregational Leader of the Sisters of the Good Samaritan, Sister Clare Condon SGS, President of Catholic Religious Australia Sr Ruth Durick OSU and Editor of The Australian Paul Kelly. The Centre for Faith Enrichment (CFE) will be facilitating a live screening of the event at the Newman Siena Centre on Friday 25 August and CFE Director Dr Marco Ceccarelli said he is looking forward to its unique perspective on leadership in today’s world. “I believe the conference will focus on the various ways in which Christians can be leaders and lead by example in a world currently experiencing problems such as the rise of fundamentalism, growing violence, the displacement of peoples, the rise of Nationalist parties and a general sense of dissension towards the established order,” he said. He added that individual speakers would be likely to offer their own valuable perspectives, based on recent writings. “Sr Condon’s The Simplicity of the Gospel Cuts through the Rhetoric as well as Prof Faggioli’s The State of the Catholic Communion Today, will make for compelling viewing” Dr Ceccarelli said. The 13th National e-Conference will be screened on Friday 25 August from 10am to 2pm in the Clune Lecture Theatre, Newman Siena Centre, Doubleview. Payment by donation. Please Click Here to register for the eConference.